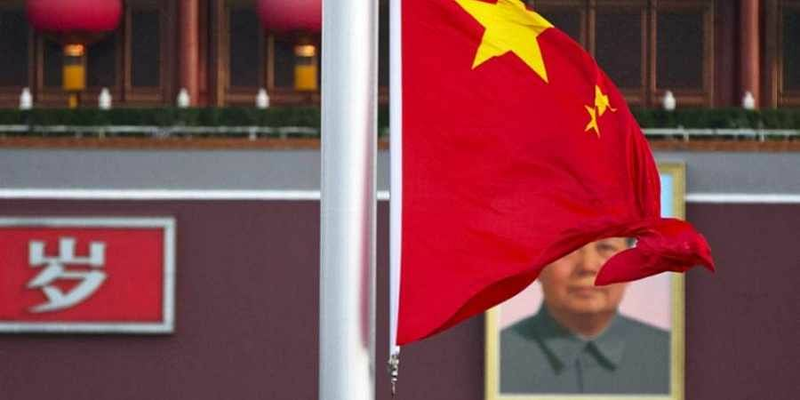 Italy's signature would be considered a major legitimation of the project that envisions overland and maritime routes connecting China with Europe. MILAN: Premier Giuseppe Conte pledged Tuesday to make Italy the first Group of Seven nation to join China's ambitious Belt and Road initiative, despite objections from the United States and concerns within his governing coalition. Speaking to parliament, Conte said that Italy's signing of a memorandum of understanding for the infrastructure-building venture, which is due to happen during the Chinese premier's visit this week, would not "in the least" put into question Italy's position within the strategic trans-Atlantic alliance or with European partners. A White House official has warned Italy against joining, calling it a Chinese "vanity project." European governments declined to sign a joint declaration on the "Belt and Road" at a forum last year in Beijing. They argued it lacked standards on financing and transparency. In his first remarks to lawmakers on the deal on the eve of Chinese President Xi Jinping's visit, Conte said the details have been worked out over months of consultations at every level of government. He emphasised that the memorandum is not legally binding and that it would give Italy access to an enormous market. "We want to first and foremost rebalance our trade, which is not favourable to us now. Our exports to China are far lower than other European countries," Conte said. "The infrastructure will redefine commercial traffic routes. We will have new airports, new trade corridors, and it will certainly influence our economic growth. We don't want to lose any opportunity." China's foreign ministry said Wednesday that Xi will visit Sicily in addition to Rome, with plans to meet with Italian President Sergio Mattarella as well as Conte. It also defended the Belt and Road initiative against naysayers in Italy. "During the process of developing the Belt and Road initiative cooperation, it is inevitable that we may encounter some misunderstandings and even doubts," said Chinese Vice Foreign Minister Wang Chao. "But facts will always speak louder than words." Wang said an agreement between China and Italy would be beneficial for both countries' economic development. "As for whether it will help promote trade for Italy, I think it is absolutely 'Yes,'" he said. "Whether to invest in a region or not, I believe that will be decided by the market" Wang said without elaborating. In parliament, the opposition attacked the planned memorandum and the lack of detail provided to lawmakers, warning that the deal could be a Trojan horse for China to undermine Italian industries. Concerns also center around whether the accords include 5G access. Even lawmakers from the right-wing League, part of Conte's coalition, say their support for the memorandum is conditional on it not harming Italy's relations with its partners. "If it opens exports for Italian companies, it is great. The only constraints are security, the control of Italians' data, and energy. I would not like someone to wake up on the other side of the world and turn off the switch," League leader Matteo Salvini said this week. "If the Chinese want to invest in railways and ports, fine. What is important that control remains in Italian hands." "There was a lack of professionalism and political know-how. Whatever the deal is, they need to speak first with the Americans and the Europeans, agreeing to a common approach, then speak with China," Sisci said. "Italy is part of NATO. It is part of the European Union and shares a currency. How do they not speak with their allies? It is crazy," he said.